Chicago Paternity Attorney | Johnson & Johnson, Ltd.
Paternity is a serious issue that often arises between parents. Both mother and father have parental rights as well as responsibilities to their children. Paternity must be established legally in order to ensure that the rights of both the child and parent are protected. When issues regarding parentage arise they can be difficult and complex and may cause emotions to run high. Whether you are trying to protect legal parental rights, establish paternity, or refute it, you require the assistance of a qualified Chicago paternity attorney. Your Chicago paternity attorney will review your situation, answer your questions, and provide you with legal guidance to make choices that are beneficial to you and your child. When the man is legally married to the mother at the time of a child’s conception or birth. The couple married after the birth and the father consented to put his name on the child’s birth certificate. Both mother and father sign a paternity acknowledgement. Paternity must be achieved in one of these ways or through the courts. Once paternity is achieved the parent must provide for the child financially and generally will have parental rights which may include child visitation or child custody. A Chicago paternity attorney understands how to establish paternity and will help you determine the options that are available to you. Paternity claims are often made by one parent or the other. However, until they are proven in court, the claims cannot be used to force either parental rights or responsibilities such as child support or child visitation. When a parent makes these types of accusations they can cause anger, frustration, and anxiety for parents and children. In these situations, the sooner you resolve the issue the better. These types of problems are best handled with help from an experienced Chicago paternity attorney. Your Chicago paternity attorney understands the legal process and will provide you with your choices so you can move forward with the matter. A child deserves to know his or her parents, including the father. Paternity is only assumed under a few specific circumstances described above. In Illinois, paternity must be proven in court. When you need to establish paternity it must be done through the family court process. Your Chicago paternity attorney will inform you that proving paternity must be done in accordance with the legally accepted methods. This often includes providing biological proof of parenthood through DNA testing. However, DNA testing is allowed only through accepted facilities. When paternity is an issue it cannot be taken lightly. A Chicago paternity attorney will assist you in following the proper legal procedures necessary to prove parentage. Paternity is one of the most highly disputed areas of family law. There are often arguments regarding the father of a child. Paternity is best cleared up quickly so you can restore the sanctity of the family. It often takes a skilled Chicago paternity attorney to help you litigate and negotiate the matter. 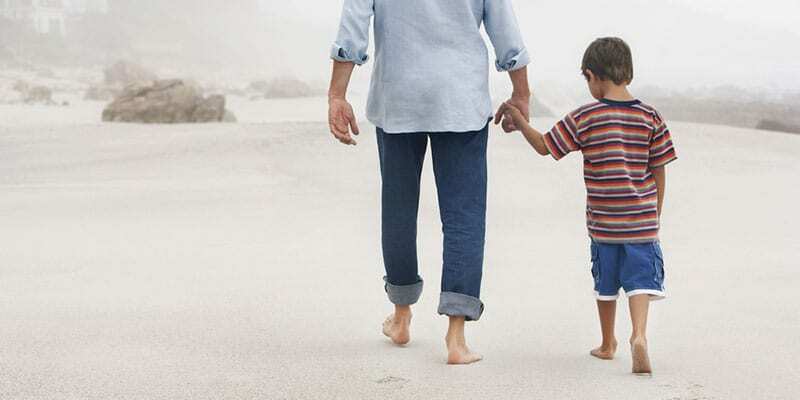 Your Chicago paternity attorney understands the current laws governing paternity and will always work to protect your rights in the resolution. Restoring harmony to the family is of utmost importance and the best interests of the child must be followed. Matters of paternity can be emotional and stressful. The law regarding paternity can be complex. For these reasons, it is advisable to seek help from a Chicago paternity attorney. Your Chicago paternity attorney will examine all aspects of the case as well as the best way to approach the problem legally. The process is easy and less stressful with the assistance of a skilled Chicago paternity attorney by your side. Resolution of these types of problems may be easier than you think when the matter is handled by a Chicago paternity attorney with years of family law experience. If you have been told you are the father of a child but dispute that claim, then you must take action to resolve the situation. The best way to do that is with a DNA test. The test must be completed according to current Illinois law so that it can be provided as proof in court. Only specific DNA companies can be utilized, so you must first check to make certain that the process if properly followed. Your Chicago paternity attorney will assist you in scheduling the DNA test at a location that is convenient for you. Whether you seek to establish paternity or want to dispute it, you will be able to do so with much greater success when you partner with a reputable Chicago paternity attorney. Do not leave these important matters up to chance. You must protect your rights and the rights of the child. The decisions you make and the actions you take now will have a profound effect on your child’s life for years to come. Before you make any choices, be sure that you understand how to protect your rights. The respected Chicago paternity attorneys at Johnson & Johnson, Ltd. have more than 35 years of experience working with paternity matters in Illinois. We understand the sensitive nature of paternity and work hard to make sure that the resolution is the best one for you and your family. Contact the skillful Chicago paternity attorneys at Johnson & Johnson, Ltd. for a consultation.